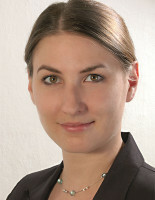 Angela Berthold studied Classical Archaeology at the Julius-Maximilians-Universität Würzburg and at the Martin-Luther-Universität Halle-Wittenberg. 2002 she wrote her master’s thesis on the subject “Tierdarstellungen auf römischen Gemmen”. In 2008 she finished her doctoral thesis “Entwurf und Ausführung in den arte minores. Münz- und Gemmenkünstler des 6.-4. Jh. V. Chr.” From 2009 to 2012 she has been a postdoctoral fellow of the Topoi research group (C-II) “Images” and worked there on a project concerning the spatial analysis of the pictures on Greek coins. See more information at topoi-topics. Wie lässt sich Identität auf Münzen konstruieren und illustrieren?